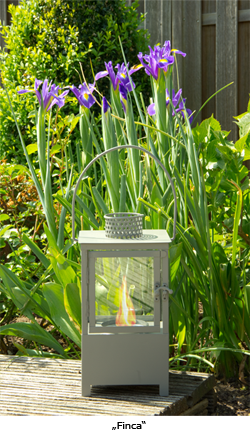 The nostalgically charming "Finca" and "Hacienda" STYX lanterns for burner gel fit perfectly with the ambience of your garden or patio. A decorative promotional article that is ideal for the summertime, and also in the darker seasons. STYX lanterns for burner gel, complete with a STYX burner gel 220 g can, are ready for use, and ideal to gift to yourself and others: Simply position, light and enjoy. 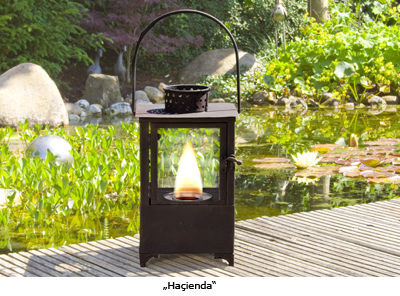 A true highlight, perfect for your next BBQ or garden party. In contrast to candles or torches, STYX burner gel burns completely cleanly. Without ash, smoke or unsightly remnants such as wax stains. So that you can enjoy a glowing ambience without the side-effects.